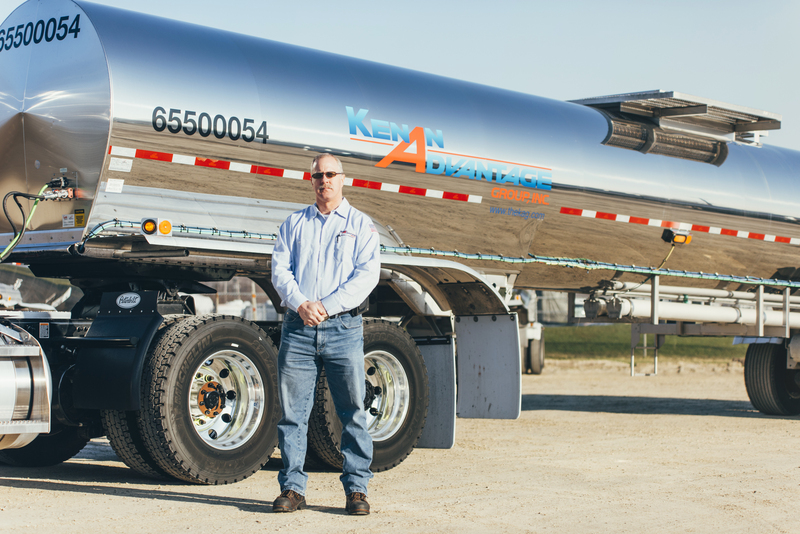 Kenan Advantage Group (KAG), North America’s largest tank truck transporter and logistics provider, based in Canton, Ohio is serious about Responsible Care®, particularly in the Specialty Products business (chemicals and liquid foods). Adopting the philosophy into the heart of KAG culture, company leaders place driver safety first. KAG drivers are equipped not only with the best equipment but also with the best driving tools. Executives have implemented the unparalleled Smith System® driver defense safety program to support employee, community safety and well-being. These initiatives are helping KAG remain a leader in the industry. “Responsible Care® is a core foundation of KAG’s chemical and food-grade divisions. We hold this very dear to our hearts. Responsible Care® is more than just the organization we belong to, it is what we are doing to help our community and support the livelihoods of our employees. Responsible Care® is our commitment to the public. Year after year our consistency of doing it right outweighs the competition,” said Dan Wright, VP of Safety, Security & Compliance for KAG. KAG drivers complete the Smith System® upon employment. They are highly skilled and well-trained technicians entrusted with the safe transportation of products, which makes them inherently responsible for public safety. While safety responsibility begins at the top, it also lies with KAG’s drivers who are on the roads delivering chemicals, fuels, industrial gases, food products and more. KAG has a reputation for being a great employer, and this attracts the industry’s best drivers. Only the top safety-rated drivers are considered for employment. Every three years KAG’s Specialty Products undergoes a third-party vetting process by an accredited accounting firm to ensure the company’s Responsible Care® processes are sound and remain ahead of the competition. Through this process, safety audits result in cost savings on injuries, chemical spills and more. The process also adds an extra layer of safety protection and includes ongoing training. Ohio Governor John Kasich has visited KAG and referred to the business as a “technology company with hauling capabilities”. Technology safety measures are in place and monitor trucks while on the road. As transporters are moving about the country, KAG’s IT department is supporting their efforts through advanced cyber security measures back at headquarters. “Cyber security is a big issue now. We explore how we can continually enhance our security plans, making sure our information and systems are protected with multiple layers. Our IT department takes this very seriously,” added Wright. KAG’s drivers are trained and tested on specific hazardous chemical handling and security which meets the criteria of the various regulatory agencies, including the U.S. Department of Homeland Security. Drivers understand the hazards associated with the products they haul as well as the potential risks that can be associated with the areas where they may stop. For example, drivers pay close attention to their surroundings and focus on locating highly lit areas when parking and choosing approved locations for refueling and rest. Additionally, drivers conduct a 360-degree walk around the truck every time they stop and exit the cab. Kenan Advantage Group (www.thekag.com) is North America’s largest tank truck transporter and logistics provider. The company operates through its five operating groups consisting of Fuels Delivery, Specialty Products, Merchant Gas, Logistics and KAG Canada. KAG’s fleet consists of approximately 6,200 power units and 9,700 trailers. KAG also provides specialized supply chain logistics services through KAG Logistics (www.kaglogistics.com).